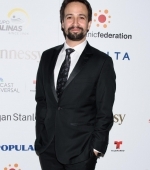 On April 19, Lin-Manuel Miranda partecipated as gala chair at the Hispanic Federation’s ‘Rising Stronger’ Spring Gala and presented Ricky Martin with the Humanitarian Award. Enjoy all the pictures in gallery! AP News posted a report of the night, traslated with Google Traslator under the cut. 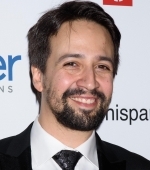 NEW YORK (AP) – For Lin-Manuel Miranda, Ricky Martin has always been an inspiration. 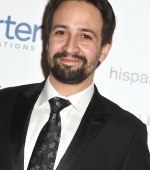 On Thursday night, the playwright had the opportunity to show him by awarding him an award from the Hispanic Federation for his recent humanitarian work in Puerto Rico. 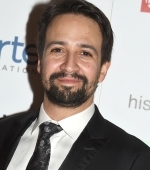 “When Maria passed by, he was the first with planes on the island and the work he has done has been incredible,” Miranda told The Associated Press on the red carpet of the gala, held at the Museum of Natural History in New York. “Ricky Martin has always been inspiring, but now it’s inspiring in many ways,” added the creator of the Broadway mega-hit “Hamilton,” which called the singer a “superstar” since his inception as a child with the Menudo group. Martin, 46, arrived at the ceremony accompanied by her husband, the Syrian visual artist Jwan Yosef. He smiled before the cameras and told reporters that he was very grateful for the award, but he did not make any further statements. Miranda, meanwhile, stressed that the goal of the massive charity gala “Rising Stronger” of the Hispanic Federation, an organization that works on behalf of Hispanics in the United States, is to raise funds that will help Puerto Rico. Puerto Rico suffered a massive blackout on Wednesday that was caused by an excavator that accidentally hit a transmission line. It was the first time that there was a blackout in the whole island since the hurricane of September 20 devastated with 75% of the power line. 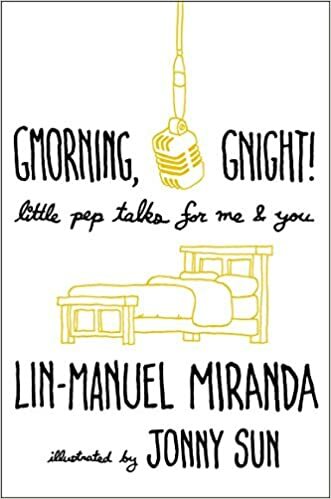 Martin and Miranda have starred in Broadway musicals _ Miranda starred in addition to “Hamilton” “In The Heights”, also of his authorship. When asked if he would consider sharing the tables with the singer, he did not hesitate. “I would love to. 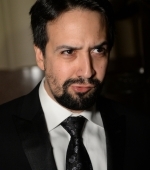 I saw him in ‘Les Miserables’, I saw him in ‘Evita’, I’m a super fan of him,” he said referring to the shows in which the honoree has worked. “Who is going to say no to Ricky Martin?” He added with a smile. The award to Martin was also in recognition of his efforts to curb human trafficking. The Ricky Martin Foundation, which the superstar presides over, has collaborated with several groups to raise awareness about the problem. The singer has spoken before the US Congress and the UN about this scourge. Among his latest works as an artist are the single “Fever”, with the duo Wisin y Yandel, and his performance in the television series “The Assassination of Gianni Versace” as Antonio D’Amico, couple of the fashion designer at the time of his death .